Belgian Imams refused to pray for non-Muslims harmed in Brussels Islamist bombings. The holy imams say God does not like prayers for infidels. Islamists slaughtered 35 people including 4 Americans in attacks at the Belgium airport and Metro last week. The bastards wouldn’t even pray for the victims! 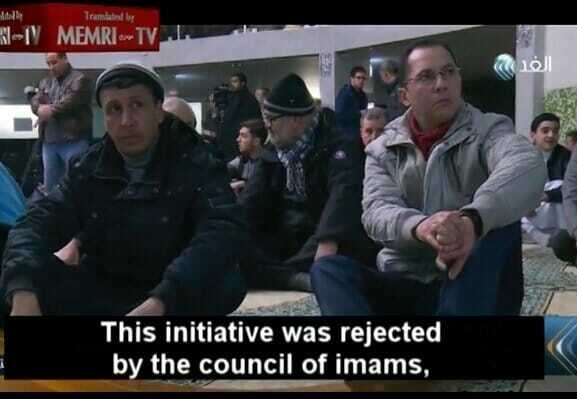 According to the UAE-based Al-Ghad Al-Arabi TV channel, the council of Belgian imams rejected a recent initiative to pray for the souls of the victims of the Brussels terror attacks on the grounds that praying for non-Muslims ran counter to Islamic law. In the report, which aired on March 26, Sheikh Abdelhadi Sewif, Chief Imam of the Great Mosque of Brussels, said that one could get around this by avoiding the word “prayer” and calling it a show of solidarity with the families. Voice of reporter: Once again, Belgian mosques find themselves in the midst of a controversy, following an initiative by an official institution to hold a prayer for the souls of the victims of the Brussels attacks. This initiative was rejected by the council of imams, on the grounds that this runs counter to the Islamic shari’a,and that such a prayer can be held only for the souls of Muslims. 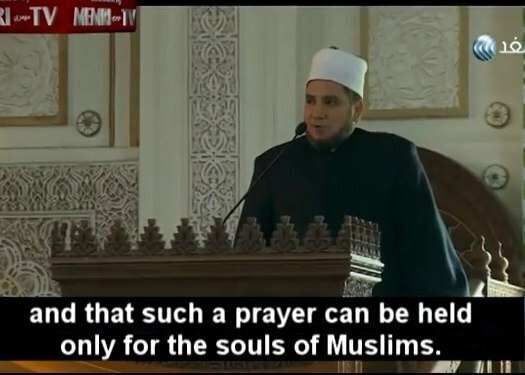 Sheikh Abdelhadi Sewif, imam of the Great Mosque of Brussels: We cannot pray over the souls of non-Muslims, but if we do this, we don’t have to call it a prayer. We can call it something else: “solidarity with the families of the victims.” We can stand by them and support them.